This book fills me with hope. 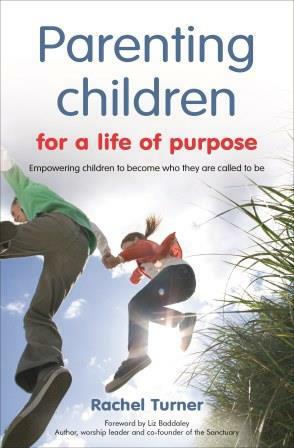 Like its author, it believes that children are powerful individuals who can have a profound effect for God – now as well as in the future. It champions the truth that we were created for something much bigger than merely living our own lives or achieving our own dreams. And that partnering with God to be a world-changer has no biblically recognised minimum age limit. Similar to its prequel Parenting Children for a Life of Faith, it combines clear, visionary thinking with solid biblical grounding. It voices a passionate realism that recognises both the urgency and achievability of the transformation it longs for. The book’s real life stories demonstrate the author’s deep awareness of the competing pressures facing young people. And its practical ideas model how change comes simply by allowing new thinking to enter existing discipleship approaches. Our churches and our world desperately need the kind of children and adults Parenting Children for a Life of Purpose invites us to be. We are called first and foremost respond to our Father’s love by living out Jesus’ words to love God and others with every fibre of our beings (Luke 10:27) and making him known to the ends of the earth (Matthew 28:16-20). In an age of me-centred thinking and celebrity culture, I am deeply encouraged to find a book on calling that doesn’t start from a place of ascertaining individuals’ specific gifts or strengths. Instead, it asks us to be inspired by Christ and his call to the whole church – and to make this our primary purpose. As we live this out with our resources, talents and time, we will discover everything we do is invested with new meaning. My prayer is that it will. This entry was posted on Tuesday, February 4th, 2014 at 04:04 pm and is filed under Journey update, New resource alert, Reflections. You can follow any responses to this entry through the RSS 2.0 feed. Both comments and pings are currently closed.